After enjoying Mt Buffalo National Park I decided I would tackle something a little easier in the late afternoon. Thirteen contacts were all great and signals were so different to those I heard in the morning. They were loud! My first contact was at 06:34 on 7090 with VK3VEK, Kevin; VK3ANP, David; VK3FBP, Len; VK5PAS, Paul; VK3SE, Steve; VK3SOG, Fred; VK5CZ, Ian; VK3ANP, David; VK5EE, Tom; VK5FBAC, Charles; VK2UH (VK1DA) a real rag chew, great contact; VK5KC, David and VK5FMID, Brian, making 13 contacts in all. ‘The Alpine National Park stretches from central Gippsland all the way to the New South Wales border where it adjoins Kosciusko National Park. Within the park are some of Australia’s most stunning alpine landscapes, including mountain peaks, escarpments and grassy high plains’ (Parks Victoria brochure). 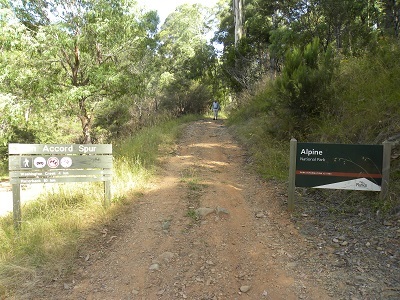 Bon Accord Spur was accessed from a track near the East Branch of the Ovens River. So our visit was at the Northern end of the park. 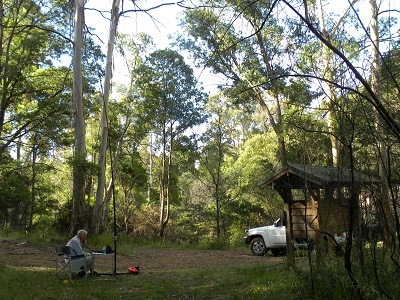 We have previously visited the Alpine National Park on two occasions approaching from Gippsland and making our way to the Wonnangatta Station. 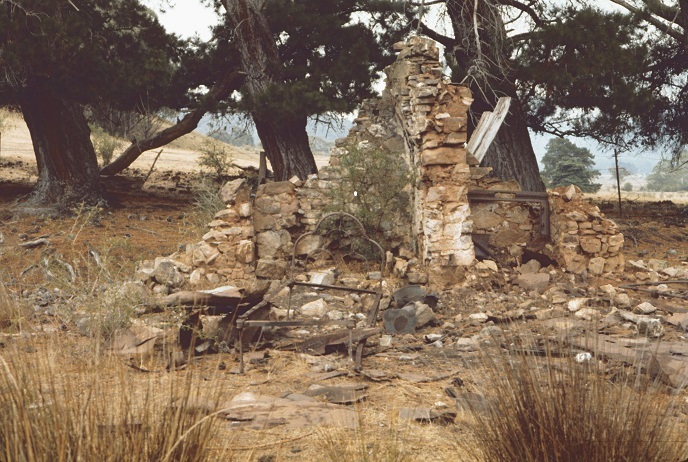 It was not a National Park then: but Crown Land and Forrest Commission Land. 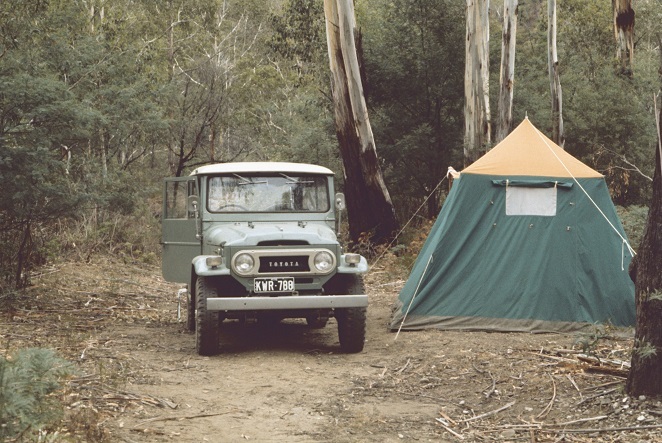 In 1973 and 1977 when we visited, it was known to a much smaller group of 4 x 4 enthusiasts than it is now. 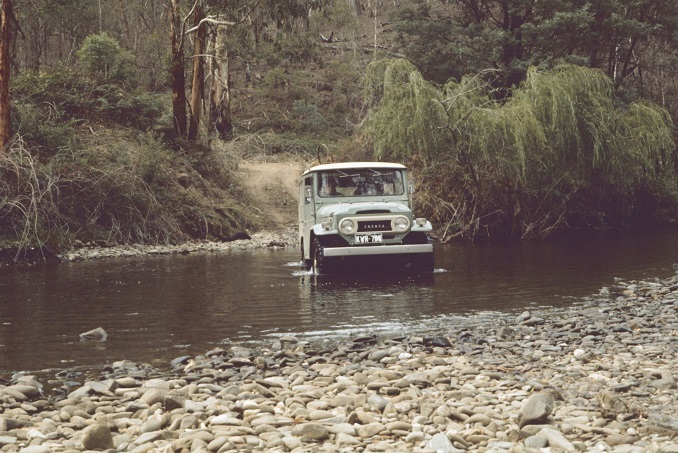 The trip into Wonnangatta from Gippsland was regarded then as challenging, with quite a few river crossings and steep climbing on narrow tracks. It may be more challenging now dealing with the extra traffic and the chopped up tracks and damaged river crossings. Our approach to driving here was cautious: as it was our first real excursion to an out of the way location. We were self-taught 4 x 4 drivers. We did not join a club until late 1998 in South Australia. We walked every river crossing before venturing in! The picture shows that I walked this crossing (a baby one) but I will admit JCD walked more! Here are a few more pictures from the VK5BJE archives.